Nintendo says it has sold more than 600,000 of its new Wii game consoles in the first eight days since they became available in North America. As the latest “console war” hots up ahead of Christmas, the figure tops the 400,000 PlayStation 3 units that rival Sony initially sold in the US. The Wii went on sale in the US and Canada on 19 November, two days after the PlayStation 3 deputed in the US. They are competing against a third console rival, Microsoft’s Xbox 360. While the Wii and PlayStation 3 are only now hitting the shops, the Xbox 360 first went on sale in the US a year ago. Nintendo says it will ship four million Wii units across the US and Canada by the end of the year, while Sony has a target of one million. “Even with sales already in excess of 600,000 units, demand continues to exceed supply, as it’s clear this is one of the ‘gotta-have’ products for the holiday season,” said Nintendo’s US president Reggie Fils-Aime. At $250 ($128) in the US, the Wii is about half the price of the PlayStation 3. 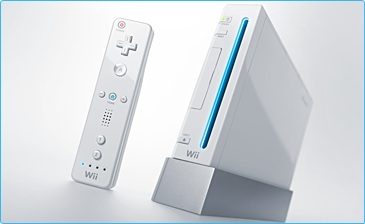 UK customers will be able to get hold of the Wii console on 8 December, retailing at $179. The European launch of the PlayStation 3 will not take place until March next year, with prices yet to be released.